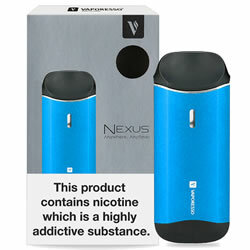 Vaporesso Nexus AIO - BLUE FULL kit buy from NUCIG UK. Simple, easy and very effective from this little gem. Always good price and amazing fast shipping from nucig. What I like most about it is for its size it does offer plenty of vapor. 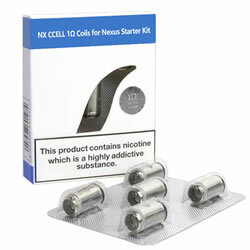 Feels quality and just the right weight in the hand, very portable and easy to store in top shirt pocket.